Genetic genealogy can involve a steep learning curve for many, so give yourself a head start and improve your existing knowledge by reading as widely as possible on the topic. Once you have ordered your tests you'll have weeks to wait for your results, so read ahead - it will make a big difference to your experience and understanding of your results. 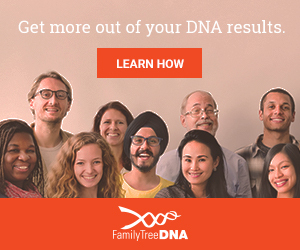 A complete guide to DNA testing for genealogy - from selecting the right tests to understanding your results. An essential resource for all beginners! National Genealogical Society, Washington DC, 2016. The first genetic genealogy practical workbook complete with answer key allowing instant feedback. This guide is a must-read for all genetic genealogists! This amazing real life story has enthralled the genetic genealogy community. Definitely a book that is difficult to put down! An excellent learning and reference book that can be referred to over and over again! This latest edition includes genetic and forensic genealogy. This terrific book of research tips includes a chapter on genetic genealogy. A great guide on exploiting social media to advance your genetic genealogy! An educational book for children, that teaches them the science of genetics in a way that kids can understand. A board book for a playful introduction to genetics for the very youngest readers. QuickSheet: Citing Genetic Sources for History Research Evidence! Includes useful definitions and practical templates and examples. Winner of the Victorian Premier's Literary Award for an unpublished manuscript in 2012. A great story that you won't be able to put down! Sequel to The Rosie Project. Thoroughly enjoyable and inspiring, you just can't put down these mysteries of the past until they are solved! Get absorbed in the interesting history, genealogical research, forensic techniques (some include DNA testing), and intriguing story lines. Books can be read in series order, or enjoyed as stand-alone stories.